Nicolas Jean de Dieu Soult was one of fourteen men awarded the title of Marshal of the Empire. Napoleon had introduced the title in 1804 to honour those who had supported him in his rise to power. 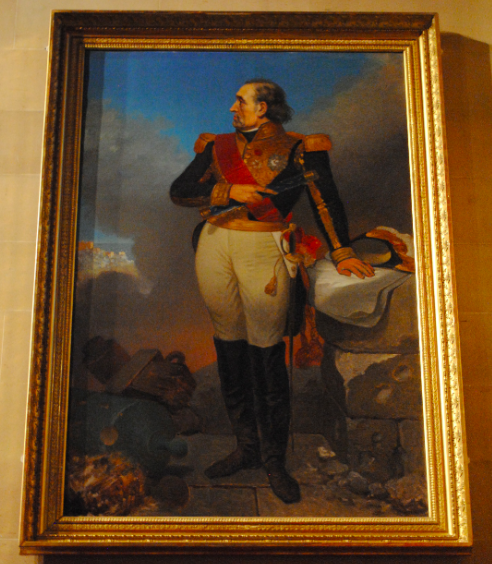 The above oil on canvas portrait is the work of the French painter Joseph-Désiré Court and dates to between 1819-1835. Soult is depicted in the painting holding the Marshal’s baton which is covered in blue velvet and ornamented with gold eagles.